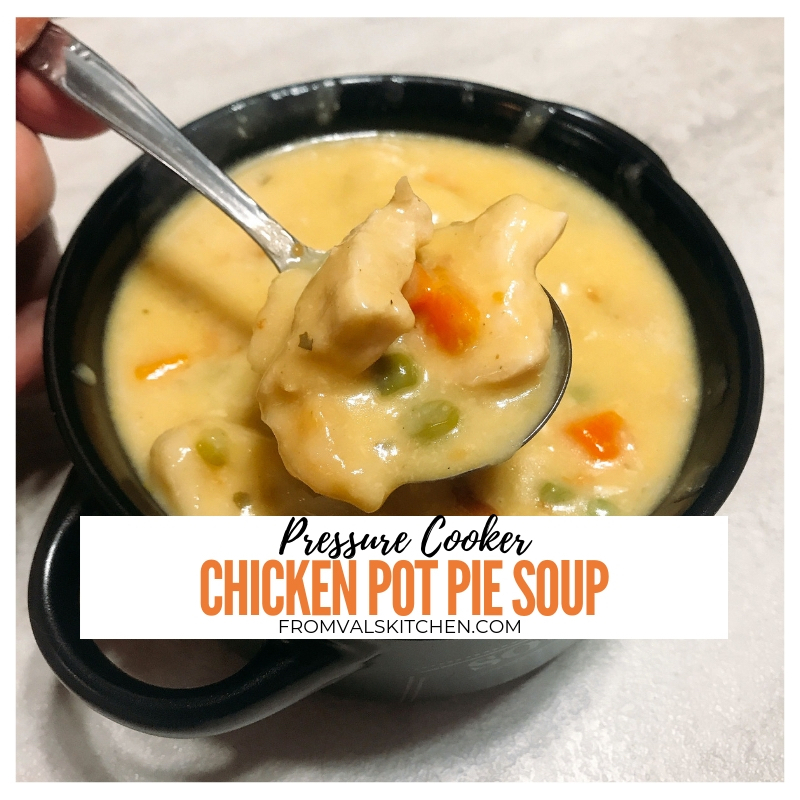 Pressure Cooker Chicken Pot Pie Soup is a simple comforting soup that comes together quickly but tastes like it’s been slow cooking for hours. 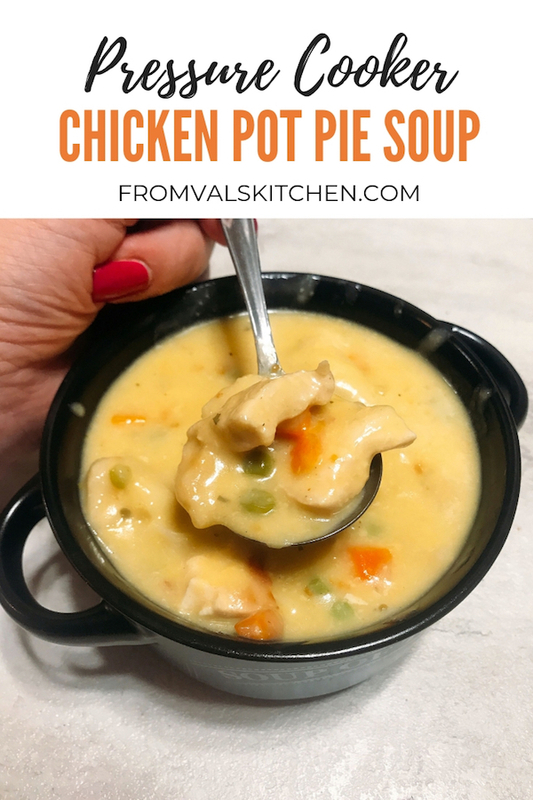 Pressure Cooker Chicken Pot Pie Soup is a simple dish that comes together quickly but tastes like it’s been slow cooking for hours. Needing minimal prep and a pressure cooker, this effortless soup is perfect for busy nights and bellies that need warming. 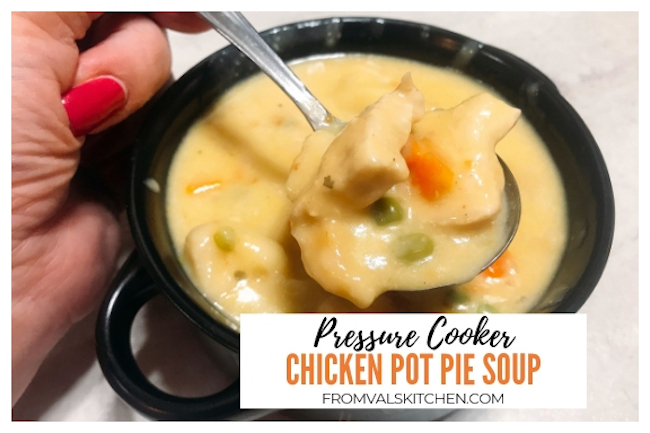 Here’s how I make Pressure Cooker Chicken Pot Pie Soup. Dice the chicken and celery and add them to the pot. Put the condensed chicken soup into a bowl. Add the ranch dip mix and dried onion to the bowl and stir well. Pour the condensed soup mixture into the pot. Add the frozen vegetables to the pot. Cut each biscuit into 8 pieces, then add the pieces to the pot on top of the chicken. Place the cover onto the pot and close to seal. Set the pressure cooker to cook on manual high pressure for 3 minutes. Once the cooking time has finished let the pressure naturally release for 5 minutes. Remove the lid and stir the contents gently but well. Pour the broth into the pot. Dice the chicken and celery and add them to the pot. Put the condensed chicken soup into a bowl. Add the ranch dip mix and dried onion to the bowl and stir well. Pour the condensed soup mixture into the pot. Add the frozen vegetables to the pot. Cut each biscuit into 8 pieces, then add the pieces to the pot on top of the chicken. Place the cover onto the pot and close to seal. 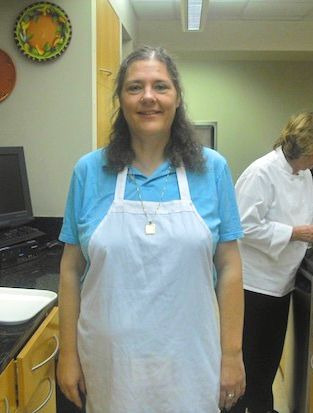 Set the pressure cooker to cook on manual high pressure for 3 minutes. Once the cooking time has finished let the pressure naturally release for 5 minutes. Remove the lid and stir the contents gently but well. Serve and enjoy! In freezing tewmpas, what could be better? Yes it’s great for cold weather but also if you’re not feeling well.